This article is the first in a series which plot the experience of purchasing property in Italy, from dream to reality. Jo Lamb-White (and husband Simon) shares the highs and the frustrations and highlights some of the key practical lessons learnt in the process. I suppose you could say the dream started in June 1997 in Florence. We stopped off there for a night on the way to Lago Trasimeno, almost by coincidence as we thought we wouldn’t be able to reach our destination that day. We instantly fell head over heels for Florence. It seemed to like us too! Our holiday was terrific and we became confirmed ‘Italophiles’. We then went back many times to that region (once to get married in Florence!) and also started to explore further afield, Venice, Sorrento Peninsula and Lazio. 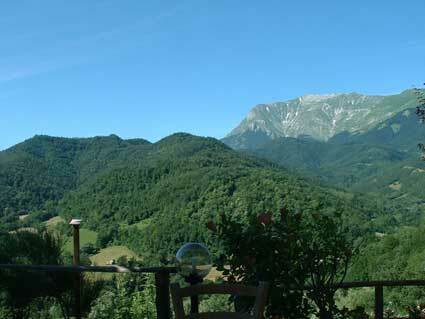 In 2003 we “discovered” Le Marche, crossing from Umbria into the Sibilinni Mountains, down to the Adriatic and back again. What a glorious part of Italy. We had gone in June expecting something in the region of a very comfortable 25 degrees Celcius. We did not expect to be in Italy during one the hottest Junes in many, many years! 10 degrees higher than usual, day after day. You could smell the heat. Staying in the mountains near Montemonaco was fabulous. The views were stunning, the air was clean and the people were great, so welcoming to us wherever we went. As the days wore on, the more and more we were being drawn to this region. It seemed to have everything from glorious beaches to snow capped mountains â€“ even in that heat. 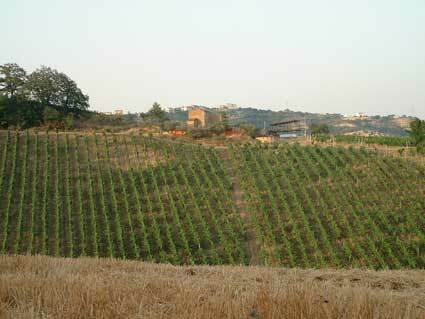 Vast expanses of lovely rural countryside, forests and fields speckled with small towns and villages. Although there were many foreigners there, the vast majority of people were Italians and that was something that had added attraction to us. Not that we didn’t want to see non-Italians, but we had no desire to see lots of British as we had in Tuscany and Umbria as well as other regions we had visited. We started to think the unthinkable. Could we do something that would allow us to see more and more of this wonderful country? It certainly got the creative juices going! We stayed inland near Grottamare and then moved north and plumped ourselves down outside Macerata for our last days in Le Marche. We had already booked to stay in Lazio to end our holiday, but if we hadn’t, we would have had few more days exploring this area. We stayed in Casperia which is a delightful hilltop town, but all we could talk about was Le Marche! Not that we didn’t enjoy Lazio or Rome, we had a great time comparing things to the region we had just come from! We realized that seeing a country in gorgeous warm weather, with cloudless skies and long light days could somewhat cast a rosy colored hue over our view. So we resolved to see Le March at a different time of year to see if we still felt the way we did about it â€¦. but that is for the next chapter. The following resources helped us to plan our trip as we did not plan many of our stopovers, but arrived on spec hoping that we would find a bed for the night! We were not disappointed and we stayed mainly in agriturismo accommodation which added an extra special ingredient as we were served home grown food and products. In next months article we will explore the do’s and don’ts for starting to look for a property and finding a reputable estate agent.